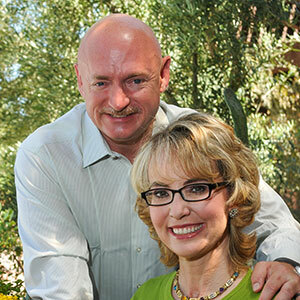 Distinguished public servants Gabby Giffords and Mark Kelly reveal how courage, optimism and hope can enable triumphs over the most daunting adversities. Giffords is a former state legislator and U.S. congresswoman, and Kelly is a retired astronaut and U.S. Navy Captain. Following an assassination attempt that severely wounded Giffords in 2011, the couple has served as a symbol for the possibility of second chances. Giffords was the youngest woman elected to the Arizona State Senate, where she served from 2000-2005. She served in the U.S. Congress from 2006-2012, where she fought for border security, energy independence and the needs of military families and veterans. She stepped down in 2012, after being shot at a "Congress on Your Corner" event the year before. In 2013, Giffords and Kelly founded Americans for Responsible Solutions to encourage elected officials to stand up for safer communities. Kelly flew combat missions in the Gulf War and in 1996 was selected by NASA to become an astronaut, along with his twin brother Scott Kelly. He flew in several missions from 2001-2008, commanding the final mission of Space Shuttle Endeavor in 2011. He has also commanded Space Shuttle Discovery and is one of only two individuals who have visited the International Space Station on four different occasions. Kelly has written six books, including the New York Times Bestseller Mousetronaut, an illustrated children’s book. Kelly is also an entrepreneur and a founder of World View Enterprises, a company pioneering a new frontier at the edge of space. 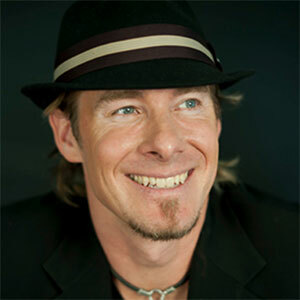 Erik Wahl is an internationally recognized artist, TED speaker and best-selling author. His new book, "The Spark and the Grind," outlines the essential components of translating ideas into action. His breakthrough thinking has earned praise from top influencers in both art and business. Wahl's previous book, the best-seller "Unthink," was hailed by Forbes as "the blueprint to actionable creativity," and by Fast Company as "provocative with a purpose." Wahl discovered an alarming truth early in his career as a partner in a corporate firm: organizations that encouraged the discipline of creativity did better than those that did not prioritize innovation. He set out to challenge companies to change their way of thinking. His message: disruption is the new normal and businesses must embrace creativity in a wholesale fashion, or risk being left behind. Wahl inspires organizations to be increasingly agile and outlines how to use disruption as a competitive advantage. Inspired by street art after leaving the corporate world, Wahl became an acclaimed graffiti artist. He now donates all money raised from his art to charities. Kevin Carroll is the author of three highly successful books, "Rules of the Red Rubber Ball," "What's Your Red Rubber Ball?!" and "The Red Rubber Ball at Work," and founder of Kevin Carroll Katalyst/LLC. With his consulting endeavors, Carroll has helped turn creative ideas into reality for organizations such as the National Hockey League, ESPN, Nike, Starbucks, the National Basketball Association, Walt Disney Company, Mattel, Hasbro, Procter & Gamble, Discovery Channel and Capital One. Raised by his grandparents in Philadelphia, Carroll spent endless hours at the neighborhood playground where he found his calling: a red rubber ball. He served with the Air Force for ten years, living overseas and serving as an interpreter and translator in Croatian, Czech, Serbian and German. After returning to Philadelphia, Carroll was an athletic trainer at the high school and collegiate levels. In 1995, he became the head athletic trainer for the Philadelphia 76ers. Two years later, Nike hired him to be a creative change agent, where he was instrumental in helping the company better understand athletic product performance, team dynamics and interpersonal communication. 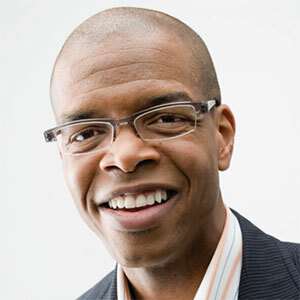 He founded his own company in 2004, Kevin Carroll Katalyst/LLC, to elevate the power of sport and play as a vehicle for social change around the world. Carroll is a frequent visiting professor across the U.S.